Movement sets itself apart by downplaying the importance of a lead singer in a band that still had a gaping hole where its singer should have been. 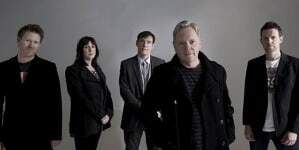 Not even the members of New Order would deny that there was something missing from their 1981 debut album: namely Ian Curtis, whose proto-goth vocals and bleak, existential lyrics had been the focal point of the group’s original incarnation as Joy Division. Curtis’ 1980 suicide at the age of 23 left the band nameless and centerless, while the critical and commercial success of their posthumous second album Closer all but demanded a follow-up. The result of this paradox was Movement: one of the few debuts in pop music history to also qualify as a transitional album. Released in the immediate wake of the Joy Division compilation Still, Movement’s attempt to fill Curtis’ monochrome shoes was met with a middling reception at the time. Today’s listeners, primed by New Order’s dancefloor-friendly hits from later in the ‘80s, may be disappointed for different reasons. Put simply, Movement sounds less like “Blue Monday” or “Bizarre Love Triangle” than a more keyboard-heavy Joy Division: picking up where Curtis’ swan-song single “Love Will Tear Us Apart” left off, albeit without the majestic pop hooks. 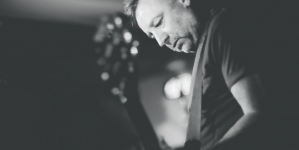 The late frontman’s absence from the album makes for its own, spectral kind of presence – from the oblique reference in the title of “ICB” (an acronym for “Ian Curtis Buried”) to the way the shared vocals by guitarist Bernard Sumner and bassist Peter Hook both seem to channel Curtis’ sepulchral groan. 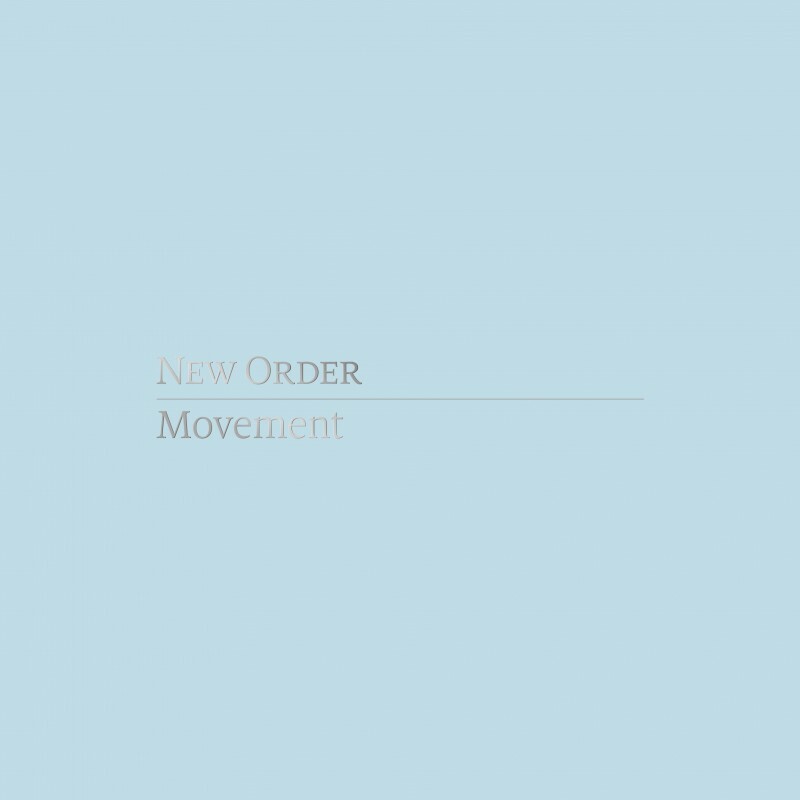 Yet if the full range of New Order’s musical identity hasn’t come into focus, Movement still provides enough glimpses to reward patient listening. It’s there in the chattering drum machine and mournful, Eastern-sounding synthesizers on “Truth”; in Hook’s bone-dry bassline on “Senses,” foreshadowing the similar line he’d play on “Blue Monday”; in the dolorous disco groove of “Chosen Time” and the galloping rhythm guitar pattern of closer “Denial.” It’s also there in opener “Dreams Never End,” which despite its strict adherence to Joy Division’s guitar, bass and live drums setup nevertheless evinces a breezy pop sensibility the previous group had in short supply. Perhaps most of all, Movement sets itself apart by downplaying the importance of a lead singer in a band that still had a gaping hole where its singer should have been. Both Sumner’s and Hook’s vocals are largely buried in the mix, their lyrics indistinct, while the majority of the songs’ hooks come out of instrumental riffs and textures. On “Doubts Even Here,” in a nod to the Velvet Underground’s “The Murder Mystery,” new keyboardist and guitarist Gillian Gilbert recites passages from the Bible in counterpoint to Sumner’s lead vocal, her voice blending in to the rest of the song’s aural wallpaper. With the notable exception of “Dreams Never End,” most of Movement could have worked just as well as extended instrumentals – a privileging of the groove that points the way to the group’s future mastery of the 12” dance mix. It’s this liminal sensibility, bridging the gap between Joy Division’s glacial post-punk and the innovations of the ensuing decade, that has helped Movement transcend its initial critical reputation and become a minor classic in its own right. Which brings us to this year’s “Definitive Edition”: a deluxe box set supplementing vinyl and CD reissues of the original album with a bonus disc of demos and alternate mixes and a DVD featuring footage from a smattering of live performances. While the DVD was not provided for review, the bonus CD provides a fascinating portrait of a band even more in flux than on the final album. The five tracks recorded at Sheffield’s Western Works studio in 1980 are rough around the edges, but include embryonic versions of “Dreams Never End,” “Truth” and the non-LP Joy Division leftover “Ceremony,” as well as previously unreleased tracks “Homage” and “Are You Ready for This?” The latter, a dub-flavored jam session featuring bellowed guest vocals by the group’s manager Rob Gretton and Stephen Mallinder of Cabaret Voltaire, even offers some rare levity on a collection that can feel unrelentingly (if understandably) dark. Arguably the set’s real revelation, however, are the nine tracks from Cargo studio in Rochdale, Greater Manchester, which constitute a mostly-complete alternate version of the album along with non-LP tracks “Mesh,” “Procession” and “Cries and Whispers.” These songs sound rawer and punchier than the final versions, liberated from the cavernous sound preferred by Factory Records house producer Martin Hannett; without Hannett’s swathes of reverb, Sumner and Hook also happen to sound more like themselves than the twin ghosts of Ian Curtis. 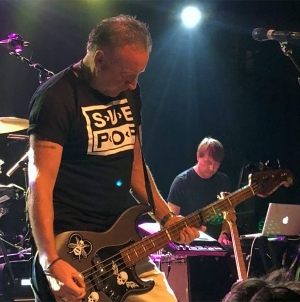 The reissue’s audio portion is rounded out by alternate mixes of the group’s debut single “Ceremony” and their fourth single “Temptation”—the song that, along with its predecessor “Everything’s Gone Green,” arguably marked the full blossoming of New Order’s sound—plus murky versions of “Procession” and “Chosen Time” recorded at the group’s North Manchester rehearsal space. There are, of course, quibbles to be had with this edition’s “Definitive” moniker: chiefly the decision not to include final versions of non-LP singles “Ceremony,” “Procession,” “Everything’s Gone Green” and “Temptation” in favor of reissuing them on separate 12” discs. For completists and CD enthusiasts, this means that a full disc’s worth of context – the bonus disc from the 2008 edition of the album, to be precise – is missing from what should be a comprehensive collection. Also hard to stomach on an aesthetic level is the box’s replacement of Peter Saville’s iconic Futurist-homage sleeve with a generic-looking embossed cover – though the individual LP and CD included in the set both wisely use the original artwork. 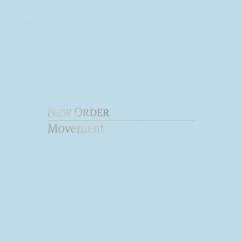 Still, Movement remains a worthy first chapter in New Order’s development. While it may fall short of “definitive,” this new configuration makes a strong case for its relevance as a milestone in the evolution of synthpop and goth. 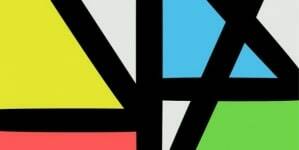 Within weeks of the album’s release, the members of New Order would travel to America and soak up the post-disco sounds in vogue in New York City nightclubs, resulting in more characteristic and memorable music; but Movement was the foreboding tomb from which this later work was born. Hook has taken the music of his past and given it a new life. Music Complete succeeds in introducing a new audience to New Order.